The British government financed Integrity Initiative is tasked with spreading anti-Russian propaganda and with influencing the public, military and governments of a number of countries. What follows is an incomplete analysis of the third batch of the Initiative’s papers which was dumped yesterday. 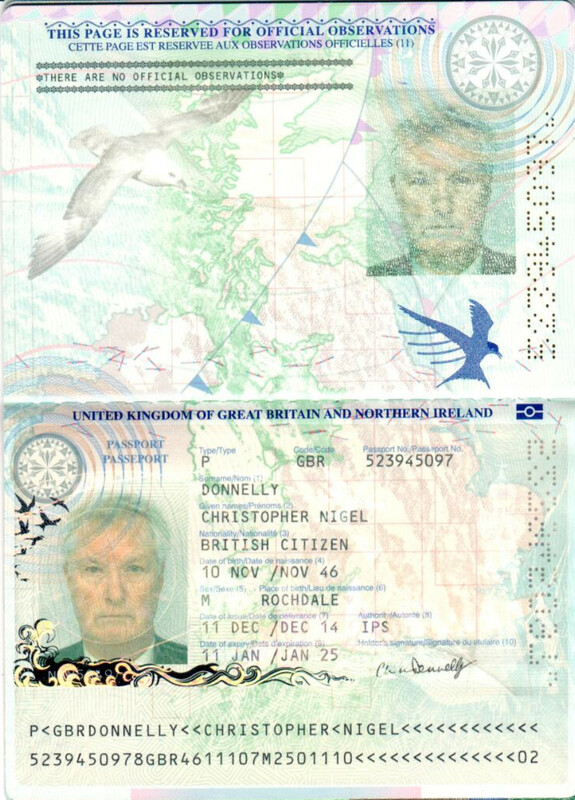 From his curriculum vitae (pdf) we learn that Donnelly was a long time soldier in the British Army Intelligence Corps where he established and led the Soviet Studies Research Centre at RMA Sandhurst. He later was involved in creating the US Army’s Foreign Military Studies Office (FMSO) at Ft. Leavenworth. He worked at the British Ministry of Defence and as an advisor to several Secretaries General of NATO. He is a director of the Statecraft Institute since 2010. Donnelly also advises the Foreign Minister of Lithuania. He is a “Security and Justice Senior Mentor” of the UK’s Stabilisation Unit which is tasked with destabilizing various countries. He serves as a Honorary Colonel of the Specialist Group Military Intelligence (SGMI). That particular advise of General Barrons was accepted. In 2017 the Integrity Initiative bid for funding from the Ministry of Defence (pdf) for various projects to influence the public, the parliament and the government as well as foreign forces. The bid lists “performance indicators” that are supposed to measure the success of its activities. The top indicator for the Initiative’s proposed work is a “Tougher stance in government policy towards Russia”. Asking for government finance to influence the government to take a “tougher stand towards Russia” seems a bit circular. But this is consistent with the operation of other Anglo-American think tanks and policy initiatives in which one part of the government, usually the hawkish one, secretly uses NGO’s and think-tanks to lobby other parts of the government to support their specific hobbyhorse and budget. Think for a moment how Russia would have responded to a mining of Sevastopol harbor, the frying of its satellites or the destruction of its fighter jets in Crimea. Those “guestures” would have been illegal acts of war against the forces of a nuclear power which were legally stationed in Crimea. And how was the west to immediately supply gas to Ukraine and Ukraine’s pipeline network is designed to unidirectionally receive gas from Russia? Such half-assed thinking is typical for the Institute and its creation of propaganda. One of its employees/contractors is Hugh Benedict Nimmo who the Initiative paid to produce anti-Russian propaganda that was then disseminated through various western publications. Galeotti is the infamous inventor of the ‘Gerasimov doctrine’ and of the propaganda about Russia’s alleged ‘hybrid’ warfare. In February 2013 the Russian General Valery Gerasimov, then Russia’s chief of the General Staff, published a paper that analysed the way the ‘west’ is waging a new type of war by mixing propaganda, proxy armies and military force into one unified operation. The Institute for Statecraft’s “Specialist in Russian strategic thinking”, an expert of disinformation and hybrid warfare, created a non-existing Russian doctrine out of hot air and used it to press for anti-Russian measures. Like Ben Nimmo he is an aptly example of the quality of the Institute’s experts and work. In 1979, before becoming a spy, Pablo Miller served at the 4th Royal Tank Regiment. 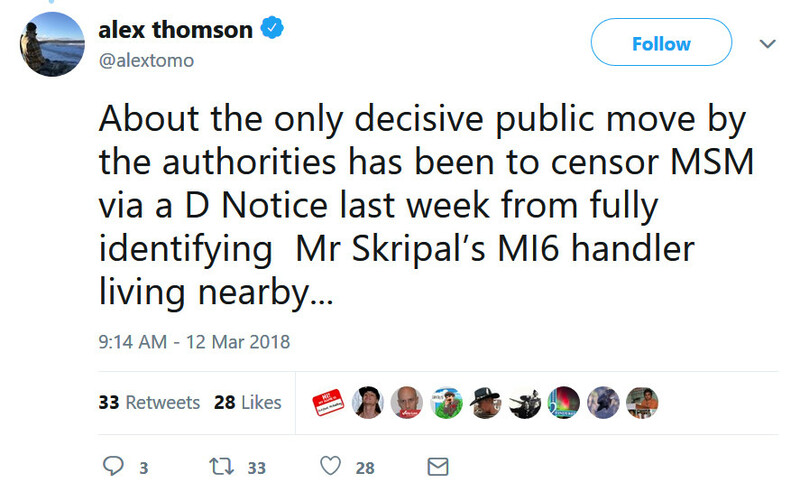 (BBC Newsnight ‘journalist’ Mark Urban, who later published a book based on interviews with Skripal, served together with Miller in the same regiment.) The 4th regiment’s motto was “Fear Naught”. Pablo Miller’s email address given in the Chris Donnelly list is fearnaught4rtr@hotmail.com. After two years the Muller investigation found zero evidence for the ‘collusion’ between Russia and the Trump campaign that the fake Steele dossier suggested. The whole collusion claim is a creation by ‘former’ British intelligence operatives who likely acted on request of U.S. intelligence leaders Clapper and Brennan. How deep was the Russia specialist Chris Donnelly and his Institute for Statecraft involved in this endeavor? Checking through all the released Initiative papers and lists one gets the impression of a secret military intelligence operation, disguised as a public NGO. Financed by millions of government money the Institute for Statecraft and the Integrity Initiative work under a charity label to create and disseminate disinformation to the global public and back into the government and military itself. The paranoia about Russia, which does way less harm than the ‘western’ “rules based system” constantly creates, is illogical and not based on factual analysis. It creates Russia as an “enemy” when it is none. It hypes a “threat” out of hot air. The only people who profit from this are the propagandists and the companies and people who back them. Note: There have already been attempts to delete the released files from the Internet. A complete archive of all Integrity Initiative files published so far is here. Should the public links cease to work, you can contact the author of this blog for access to private backups.